After months of accusations, legal maneuvers, and increasingly strained “battle station” jokes, the long-brewing Star Trek fan film lawsuit has finally been settled. According to The Hollywood Reporter, Paramount Pictures, CBS Studios, Axanar Studios, and Alec Peters have all reached an agreement about Peters’ crowdfunded fan film Axanar, ending the need for the jury trial that was scheduled for later this month. 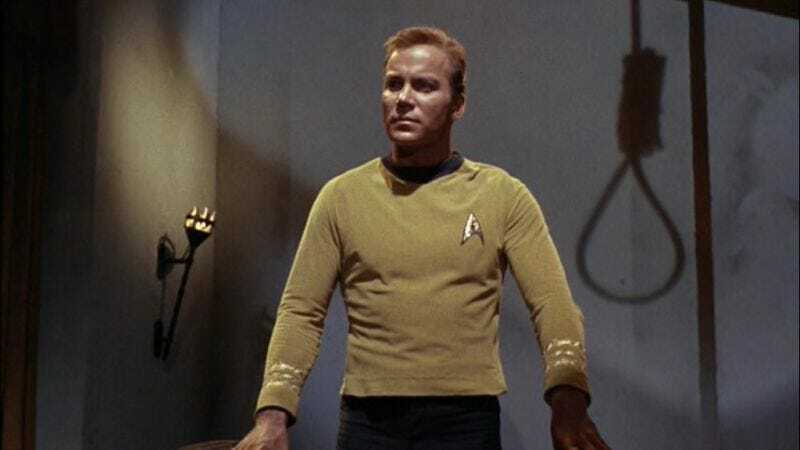 In the past, Paramount and CBS have turned something of a blind eye to amateur Star Trek productions, presumably on the grounds that they increase the fierce fan loyalty that keeps the franchise alive and healthy. Peters drew the companies’ attention, though, after raising more than a million dollars in crowdfunding money and shooting a professional-looking 20-minute proof of concept for his movie (based on an unseen but mentioned incident from an early Star Trek episode). What followed was a circuitous legal attempt to work out things like “Who owns the Klingon language?” and what copyright infringement even means for a franchise with hundreds of moving parts, many of which were written by, filmed, or owned by a galaxy’s worth—sorry, these kinds of jokes are really easy to slip into—of rights holders and creatives. Earlier this month, a judge gave Peters the extremely expensive compliment of ruling that his movie was not sufficiently dissimilar from official Star Trek productions to claim fair use, sending the issue to a jury to either agree or disagree, and then wade into the incredibly complex issue of what kind of damages might potentially be assessed against it. But Peters, Paramount, and CBS managed to resist their own Star Trek fan impulses and avoid that discussion of space-faring minutiae; instead, Peters has agreed to alter several elements of his movie to reduce their similarities to the Star Trek franchise (“Sclootchy, set our Frasiers to sting, and blast these Klaxons out of my sky!”), and CBS and Paramount have agreed to drop their opposition to the film. Paramount Pictures Corporation, CBS Studios Inc., Axanar Productions, Inc. and Alec Peters are pleased to announce that the litigation regarding Axanar’s film Prelude to Axanar and its proposed film Axanar has been resolved. Axanar and Mr. Peters acknowledge that both films were not approved by Paramount or CBS, and that both works crossed boundaries acceptable to CBS and Paramount relating to copyright law. Axanar and Mr. Peters have agreed to make substantial changes to Axanar to resolve this litigation, and have also assured the copyright holders that any future Star Trek fan films produced by Axanar or Mr. Peters will be in accordance with the ‘Guidelines for Fan Films’ distributed by CBS and Paramount in June 2016.